It surprises most people when they find out that I have quite a number of jewellery and accessories in my collection since I wear very minimal jewellery in public and I often dress down. I subscribe to the 3-piece rule so I have some pieces in storage that I have not even worn yet. I tend to wear my favourite pieces over and over again. I’ve loved jewellery since I was in elementary school. My mom gave me my first gold necklace when I was in 3rd grade and since then my collection grew. I was delighted when Amore Silver invited me to review some earrings and necklaces. 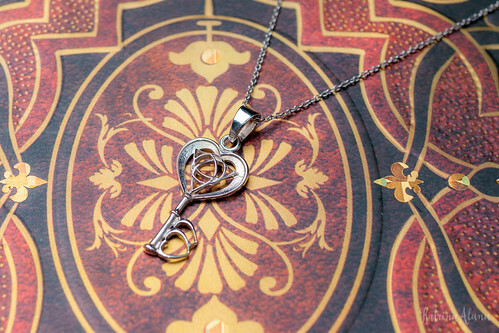 Amore Silver means “for the love of silver”. I selected some of my favourite pieces from their collection. I like them since I can wear them at work or on the weekends. They have a wide range of designs, from feminine designs to geometric patterns. Let me say that these pieces are even more gorgeous in person. Each piece is affordable and you can see the craftsmanship. They have items with prices starting at $14 – $60. Amore’s jewellery is made of sterling silver which is 92.50% silver and 7.50% copper metal alloy and these pieces are manufactured in Thailand. This blend is a very high grade of silver that is used in making jewellery. Most people allergic to nickel can still wear sterling silver but in order to give a comprehensive review, I made sure that I wore the pieces several times for three weeks to see if I would develop any allergic reaction since I have a metal allergy – I even wore the earrings when I was working out this week. I’m glad to report that in my case, I did not develop any allergies. 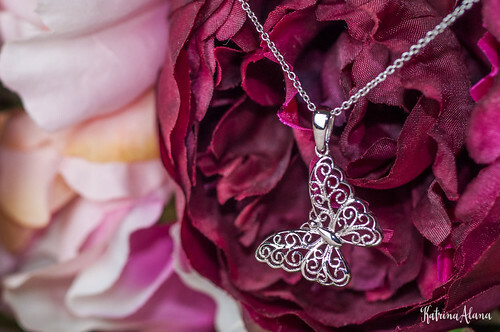 I find that Amore Silver’s jewellery is well made and affordable. They have an excellent return policy where you can get a full refund within 14 days of purchase, no questions asked. I would buy more pieces for myself or as gifts for family and friends. 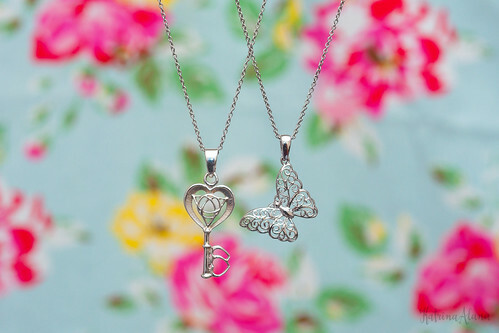 Use our coupon code, “kat-ala” to get a 15% discount discount at Amore Silver. This coupon code is valid until May 31, 2014. This entry was posted in Products We Like, Reviews and tagged Amore Silver, earrings, Jewellery, jewelry, necklace, Post, Product Review, Sponsor, Sponsored on May 23, 2014 by Katrina Alana. I love to shop online and get great deals. I usually sign up for the newsletters of my favorite brands to get the scoop on their latest products and promotions. As a smart shopper, I like to compare prices to decide which places give me the best value. I’ve been looking for a place to buy the Tangle Teezer for a few weeks now and I was on the fence if I should buy from the UK or get the brush from Luxola since I was just getting one item and the shipping would probably even-out the cost. I was glad to find out about flipit.com where they had vouchers for some of the top shopping sites in Singapore. 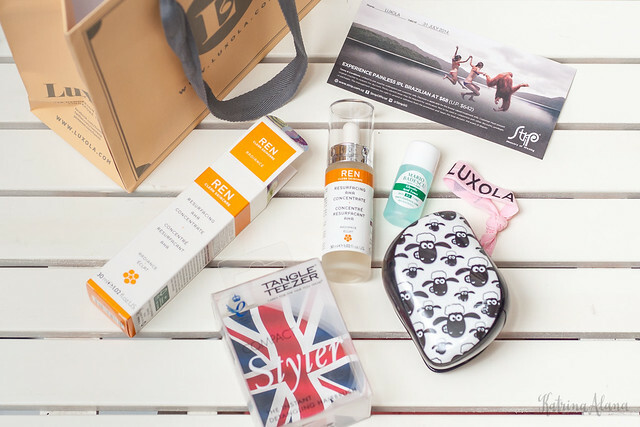 When I searched their site last week, they had a 30% discount voucher for Luxola so I bought the Tangle Teezer and the Ren Resurfacing AHA Concentrate. Here you can find the promo codes for online purchases at Luxola. 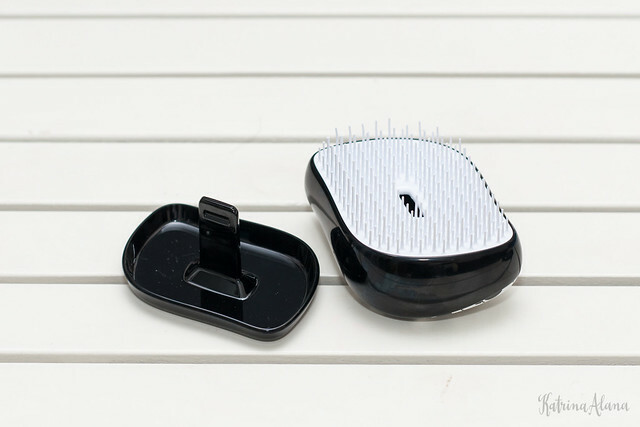 The Tangle Teezer is for my crazy-frizzy-fine hair which needs so much TLC. I figured I should get a brush that is supposed to gently untangle knots while minimizing breakage to my locks since I need to brush my wet hair as I’m rushing off to work. I was also excited to find an AHA concentrate product available here in Singapore. I’ve been scouring the malls for the past few months looking such a product. I used to buy an AHA facial serum from my dermatologist overseas. I’ll be testing these products and posting a review here so stay tuned. This entry was posted in Beauty, Products We Like, Sponsored Reviews and tagged AHA, Brush, Concentrate, Coupons, Discount, Flipit, Flipit.com, Glycolic Acid Toner, Luxola, Mario Badescu, online, Promotions, Ren Resurfacing AHA Concentrate, Ribbon Hair Tie, Shaun the Sheep, shopping, singapore, Strip Brazilian IPL Voucher, Tangle Teezer, Vouchers on May 7, 2014 by Katrina Alana. The Sample Store sent me these Beauty Biotics products to test and review. I don’t usually try or buy products until I’ve done some research on them and I was eager to try these products since they seemed very promising and the are deemed safe for sensitive skin. I’ve tested and used these products for more than 3 weeks and here is my complete review. My skincare for the past few years has been focused on hydrating my skin since my cheeks tend to get really dry no matter what hydrating product I use. I’ve tried so many soaps, toners and creams, and last year I found an effective regimen combination of products that addressed all my skin woes. I’m interested to see if products from Beauty Biotics will work for my skin without jeopardizing its quality. I don’t like to spend too much time putting my face on so I look for effective products that are easy to apply. I’ve only started wearing foundation this year after I got a really bad sunburn during our holiday in December and my skin is still uneven. I’ve already sampled different foundations like cakes, liquids and primer-powder combos but I find them too troublesome to put on especially when I’m rushing off to work.. I loved how light and easy it was to put on after moisturizing. It gives my face a radiant glow and it did not dry out my skin. It provided medium coverage so I didn’t look like I had too much product on. I hate it when I check my face in the mirror and I find those foundation streak lines, but I didn’t experience that with the BB/CC Beauty Balm Colour Corrector since it was easy to blend. I guess the light texture came with a trade-off which was complete coverage but I would rather have a light product that is easy to put on with medium coverage and evens my skin tone as opposed to full but heavy coverage. I think that the Beauty Balm Colour Corrector is a great everyday product and I am adding it as a staple product in my make-up kit. Love the light texture and the soft powder puff. I carry this with me everywhere I go. Over the past few weeks, I conducted calligraphy workshops and went to a few events so my face had to be presentable and oil free from morning to evening. After completing my skincare routine and make-up, I finished it with the BB+ Nano Luminescence Mineral Pearl Powder. What I like about this powder is that it takes the shine away from my troublesome T zone and it is so easy to put on since it comes with a great powder puff. I don’t usually like putting powder on but I am loving the BB+ Nano Luminescence Mineral Pearl Powder and I carry it with me every day. I also bring the UV White Nano Mineral Powder with me because it is so small and portable. I love the small compact packaging where the puff is connected to the bottle soa you can dispense the product directly to the puff. The nano pearl powder reflects light, giving my skin a luminescent glow. I’ve used these products daily for more than 3 weeks now and really tested these out so that I can give an impartial review. I really love the BB/CC Beauty Balm Colour Corrector and BB+ Nano Luminescence Mineral Pearl Powder that I will be adding these as staple products in my beauty arsenal. The UV White Nano Mineral Powder contains light diffusing powder, making the skin look more even and radiant. This entry was posted in Beauty, Products We Like and tagged BB, BB+ Nano Luminescence Mineral Pearl Powder, BB/CC, BB/CC Beauty Balm Colour Corrector, Beauty Balm, Beauty Bionics, blog, blogger, CC, Colour Corrector, Foundation, Liquid, Luminescence. Mineral Powder, Nano, Pearl Powder, review, Sample Store, UV, UV White Nano Mineral Powder, White on March 28, 2014 by Katrina Alana. Onsies are absolutely adorable on babies and kids but on adults? I would probably wear this to a Holloween party if I didn’t have a costume. I don’t think I can pull this off as nightwear since I’m too old to be prancing around in this. What do you think? Would you wear this? This entry was posted in Products We Like and tagged cosplay, costume, Japan, onsies, singapore, totoro on June 13, 2013 by Katrina Alana. This item is perfect for me. I need a constant reminder to set aside some time everyday to make something or learn something. 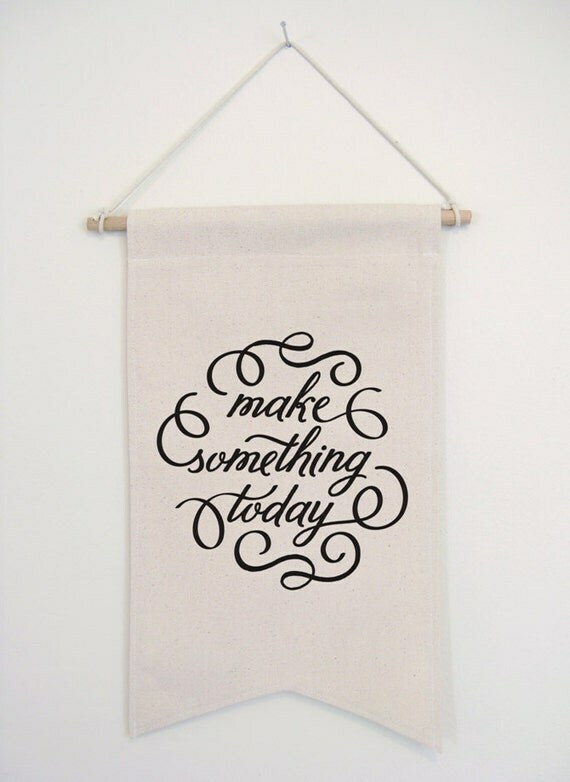 This banner is available from Samantha Dubeau’s Etsy Shop, have&hold Designs. 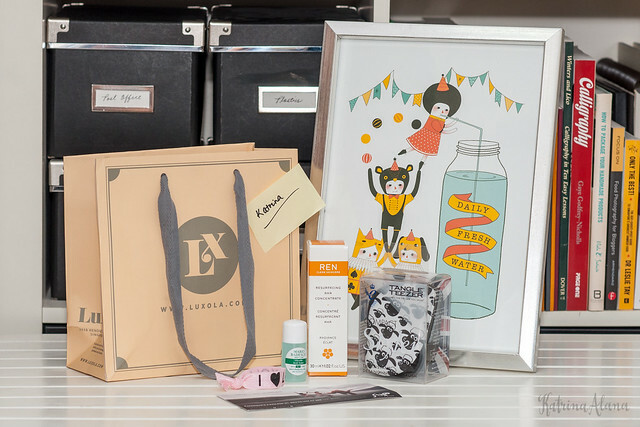 This entry was posted in Products We Like and tagged banner, haveandholddesign on May 16, 2013 by Katrina Alana. Cute earrings from Freckled Daisy. You can purchase these from her online shop. 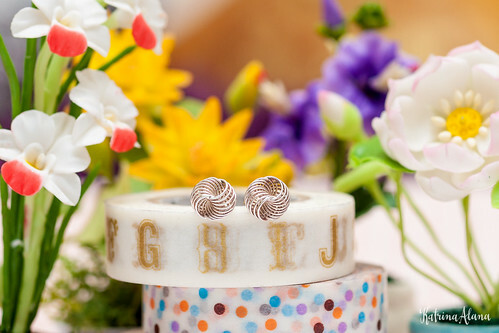 This entry was posted in Instagram Photos, Products We Like and tagged earrings, Freckeled Daisy, freckleddaisy on May 12, 2013 by Katrina Alana. I love the notebooks from gracesmiths at 22 Dempsey. Each notebooks is only $12. Drop by the Pandora Market. This entry was posted in Instagram Photos, Products We Like and tagged Grace Smiths, gracesmiths, notebook on May 12, 2013 by Katrina Alana. Isn’t this cloud tape dispenser adorable? I love things that could perk up my boring work desk. It was designed by Yu JuHyun and we can order this Gongdreen’s online shop. This entry was posted in Products We Like and tagged cloud, Gongdreen, Merry Cloud, tape dispenser, Yu JuHyun on May 6, 2013 by Katrina Alana. I want this! 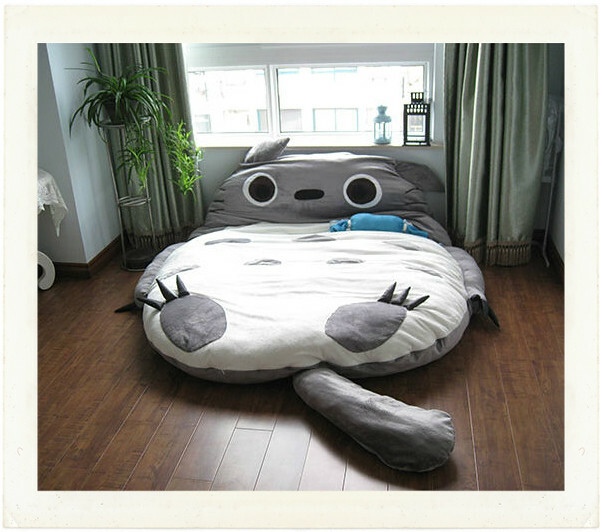 This cute Totoro bed was feautured in Apartment Theraphy and I think it is just perfect for lounging. I watched the cartoon sometime last year and even although I’m too old for cute things I can’t help but want this. Don’t you? This entry was posted in Products We Like and tagged Apartment Theraphy, bed, totoro on February 13, 2013 by Katrina Alana. What do you do when you have frizzy thin and fine hair? Most anti-frizz products don’t work on my hair since the products are too heavy and I end up looking like someone with greasy hair e.g. Severus Snape. My friend suggested that I try this L’Oreal spray but when we went to Watson’s it was no longer available. After browsing the shelves for what seemed like forever, I decided to try Lucidol instead since it said that it coats hair making it smooth and it also said that it was a “hair treatment water” so I took the cue that the water part made it a light type of hair product. When I googled Lucido, I found out that it was a top hair styling brand from Japan so I decided to try it. Well I am glad to say that it works. I just spray it on my damp or dry hair and comb through with a fine comb. 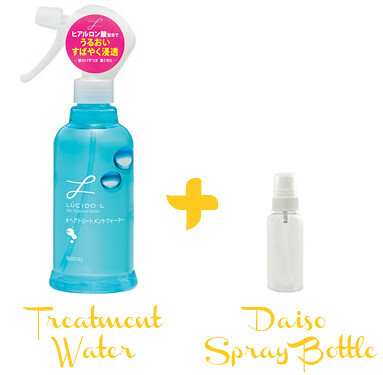 The spray bottle is pretty big so get a small atomizer from Daiso so you can keep some handy. This entry was posted in Beauty, Products We Like and tagged frizzy, frizzy hair, hair, hair products, Lucido, Lucido L Hair Treatment Water on December 4, 2012 by Katrina Alana.